National Hug Your Hound Day is celebrated every year as the dog-days of summer come to a close. The second Sunday of September is a national holiday that serves as a reminder to keep our four-legged friends healthy, safe and happy! Visit a dog park and have a picnic. Go do service at your local animal shelter. Play fetch at the park (maybe at the NEW Fitchburg Dog Park?). Give K9 Pawformance Massage a call and schedule a doggy massage for your pup! Enjoy a dog-inspired movie marathon with films such as Beethoven, Must Love Dogs, Homeward Bound, Marley & Me, Hachi, Eight Below, Best In Show, Max, Turner and Hooch, or All Dogs Go To Heaven – to name a few! Finally, give your pooch a hug (duh) and tell him/her how much you love them! 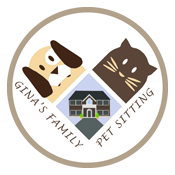 If you want to do something EXTRA special for your pooch, let Gina’s Family Pet Sitting come out and do a doggy walk! Our trained paw-fessionals know exactly what to do to keep your fur-kids safe and happy all year round. Call us today!